When they holidays come around, something that many people look forward to is visits with their aging parents. If you live at a distance from them and are not able to visit regularly, this is a wonderful opportunity for you to both spend quality time with your elderly loved one and to check in on them and make sure that they are doing well. Challenges and limitations can occur quickly, putting your senior at risk of dangerous situations if they are not managed properly. Taking the time during your visit to check on your parent’s health and well-being can help you to identify areas where you could improve your distance care efforts and ensure your loved one’s quality of life as they age in place. Discuss it with them. Let them give you as much information as possible about their health. Let them know that you want to be there for them to help them manage their health conditions and ask that they tell you everything they can so that you can support them in doing what they need to do to handle this condition effectively. Watch them eat. Your parent’s eating can tell you a lot about their health and well-being. Difficulty chewing, not eating much, only choosing soft foods, or avoiding temperature extremes such as very cold or hot foods or beverages could indicate dental problems that threaten their health. If they have certain health conditions or challenges and you know that they are supposed to be following dietary restrictions, monitor their meals and snacks to make sure that they are following these guidelines. This will help you to identify any confusion that they might have and help them to better understand what they should and should not be eating. Monitor injuries. Everybody gets a cut or bruise every now and then. If you notice that your senior has multiple injuries, however, it could be an indication that they are dealing with challenges and limitations that threaten their independence. Monitor these injuries to make sure that they heal properly. If it takes too long for them to heal or they seem to worsen, they could be suffering from serious medical conditions. Get in touch with their doctor to discuss your concerns so that they can address any issues that they might have developed. If you have noticed that your aging parent is dealing with challenges, limitations, and other issues that threaten their safety and well-being as they age in place, now may be the ideal time for you to consider starting home care for them. An in-home senior care services provider can be with your parent on a customized schedule tailored for their individual needs, challenges, and limitations, but also for their personality, lifestyle, and goals. This means that they can enjoy a more active, engaged, and fulfilling quality of life while also staying safe and healthy. 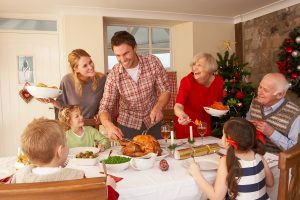 As their family caregiver, knowing that there is a home care provider with your parent can give you confidence that they are always getting the care, assistance, and support that they need whether you are able to be with them regularly or if you live at a distance and are not able to visit with them frequently.